In 1974 St. Kevin’s schools were built with 16 class-room in each school. Father O’Scannaill was a familiar sight back then, out on his tractor as he landscaped the schools’ generous gardens with the help of his neighbours. On July 1st 1975, the Girls’ School opened its doors to the first pupils. There were 71 of them-boys and girls. The Boys’ School hadn’t yet been completed. Treasa Bennett, Principal, and Sr. Irene, Vice-Principal, were the only members of staff at this stage. In September they were joined by Norah Mc Donnell and then in December by Alice Shaughnessy. During those first months the school had no staff-room so the four teachers used to make their way down muddy path-ways to Father O’Scannaill’s house in Elmcastle for lunch. That was only until December 1975, when the staff-room was completed. St. Kevin’s Church was completed in 1978. The Boys’ School opened in 1976 with Liam MacMathuna as Principal and Martin Molamphy as Vice-Principal. Over the next ten years, both school expanded rapidly, necessitating the extension of eight new class-rooms to each school in 1983. During the following three years, the Girls’ School staff and pupil numbers peaked. We had 830 pupils and 26 teachers at one stage. The school has flourished and developed over the years and a lot of credit is due to the exceptional support and interest of parents and residents alike. Many still remember the Annual Sponsored Cycle to Glendalough. This difficult journey was generously supported by the community. This interest was always reflected in the consistent generosity and hard work of all the members of the Boards of Management throughout the years who worked unstintingly with their Rev. Chairmen of vision, playing no small role in the development of our school. Our school choir has participated in the National Children’s Choir since 1987. A member of staff takes the senior classes for choir and prepares them for various school events. Every choir occasion has made us proud of our girls. During the Eighties we staged a musical every few tears. Fond memories prevail of our productions. In recent years we reinstated the musicals and we have performed ‘Oliver Twist, ‘The Wizard of Oz’, ‘Joseph and the Amazing Technicolour Dreamcoat’ and ‘Annie’. St. Kevin’s also has a great tradition of Olympic Handball, participating in the sport since 1985. A member of staff coaches the school’s Olympic Handball teams, who participate in the Dublin area Olympic Handball League. 2008 was a great year for our Olympic handball teams. The senior primary team won the Dublin final and the Under 11 team came 2nd place Dublin finals. In 1983 a local artist was commissioned to paint, with the assistance of the older pupils, a mural in the school hall. It has withstood the test of time, continuing to fetch compliments to this day. Indeed our bottle-cap art, which has been recently completed, is admired by visitors to our school. ‘Mens Sans in Corpore Sano’- Health Education has been a subject on the curriculum for years in St. Kevin’s Girls’ school, pre-empting the Departmental guidelines on SPHE. We have various visiting coaches coming in weekly also and our girls have had the opportunity to learn a variety of ball-games over the decades; basket-ball, Mini-Olympic handball, Uni-hoc, Tag Rugby, Volley-ball, GAA and Soccer. They participated in many sporting events with great results on several occasions. It was during the Nineties too, that funds, a spare class-room and again an energetic, enthusiastic task force came together to create our much-loved library. It was opened by the children’s author Gordon Snell in 1997. We have had many acclaimed writers visit us since then; Jacqueline Wilson, Marita Conlon-McKenna, Gerry Whelan, Larry and Aisling O’Loughlin, Pauline Devine and others. The girls have had the privilege of meeting various world-famous authors of children’s books during regular trips to The Writers’ Museum and to Eason’s in recent years, amongst them J.K.Rowling (of Harry Potter fame), Colin Hawkins, Michael Morpurgo, Judy Bloom, Babette Cole, and Valerie Bloom. We are very keen to engender a life-long interest and pleasure in reading in the girls. In 2010 our library was given a colourful revamp. In March 2007 we raised our Green Flag. The Green flag was awarded to the school after years of efforts recycling, reducing waste and keeping our school litter free. Our second green flag was awarded in 2009 for energy. In 2011 we raised our 3rd Green Flag for water. In 2013 we raised our 4th green flag for Travel and most recently in 2016 we raised our Green Flag for Biodiversity. Today in many respects we feel we’ve come full circle. We have levelled out at a teaching staff of 16 and 302 pupils. We have two Learning Support / Resource teachers and a shared Learning Support and Resource teacher. We have four special needs assistants, a secretary and a caretaker. Ms. Miriam Dignam is the principal. Many of the new mothers of our pupils are themselves past-pupils. We have past pupils who have entered the teaching profession, and the convivial, industrious atmosphere in the school remains unchanged. 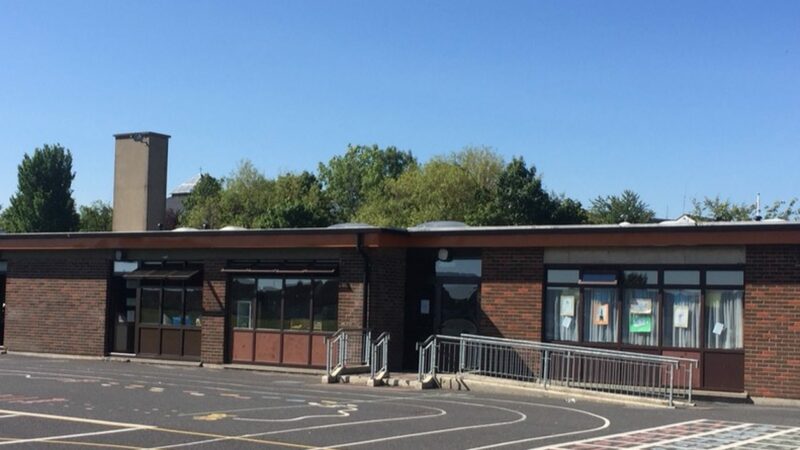 That we have so many visits from past-pupils coming to tell us of their achievements in exams and elsewhere is a reflection of the success we feel St. Kevin’s Girls’ School has enjoyed and continues to enjoy in the community of Kilnamanagh. Follow our news on Twitter! Happy Easter! 🐣 Our Easter Bonnet parade was a blast! Such amazing creativity- and I’d say a few bleary-eyed parents!! Happy Easter from all in Third Class! Look at these fabulous Homemade Easter bonnets from some of the girls!